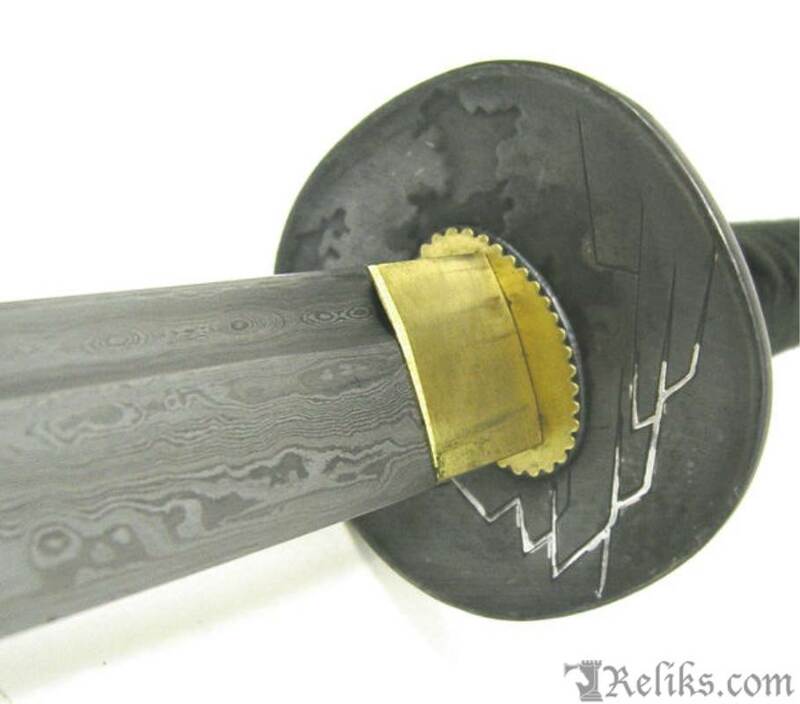 This is an aesthetically beautiful damascus steel hand forged katana that will surely be noticed in your collection. 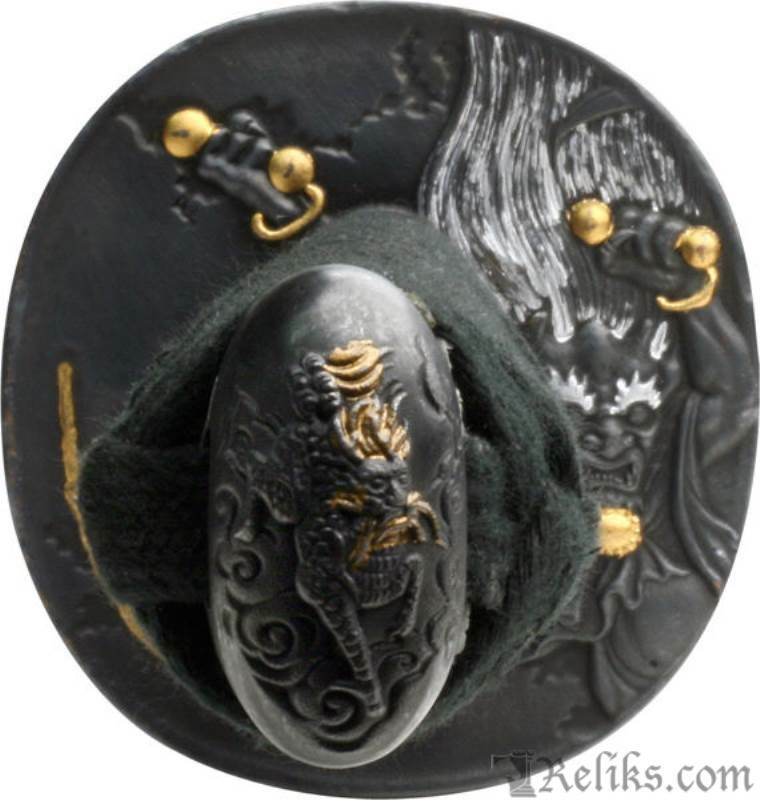 This katana is themed after the Japanese god of thunder, storms and lightening Raijin; who's image is depicted on the oxidized zinc alloy tsuba. 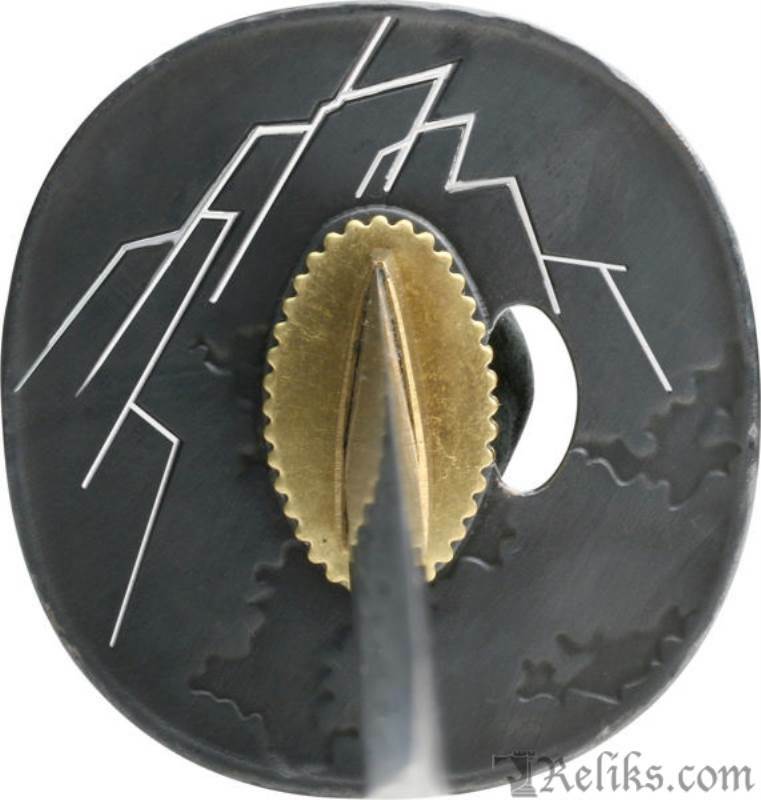 The handle uses an authentic ray skin and the tsuka (handle) being wrapped with real black Japanese purpose silk. The saya is finished in a high gloss black lacquer. 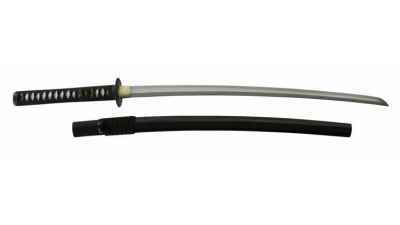 This samurai katana also includes a cotton sword bag for storage and transport. 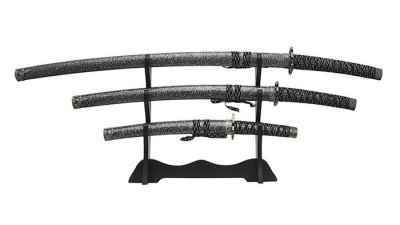 This is an entry level katana which is hand forged out of damascus steel. The damascus is produced with 10 folded layers of carbon steels which results in a distinct “grain like” pattern on the blade. This piece is made for soft targets only and not intended for heavy martial arts in a dojo environment. Soft targets include the back yard cutters inexpensive favorite, pool noodles or small rolls of tatami and straw beach mats. 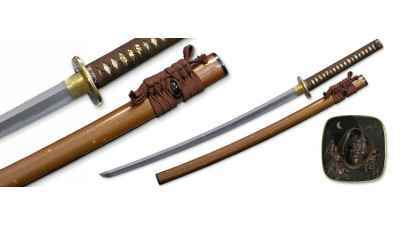 Reliks Response - This sword is recommended for tatami mat cutting with proper training. Please contact customer sevice they will be able to help you further.